You can use this for : Industrial Inspection, Computer Parts inspection, Telecom module inspection, scientific teaching tool, Laboratory Research, Medical analysis, School Research tool, Insect dissection examination, Plant dissection examination, Skin examination, Scalp examination, Textile Inspection, Jewelry Inspection, Collections/Coin Inspection, Printing Inspection, Reading Aid, Teacher Add as Project, Presentation and so on. 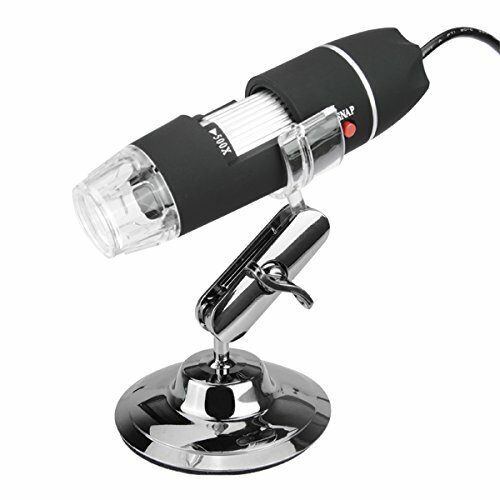 This is the high quality electronic microscope instead of the normal microscope. You can use it to snap HD pictures and capture the video, and also to measure the objects. If you have any questions about this product by Eramaix, contact us by completing and submitting the form below. If you are looking for a specif part number, please include it with your message. Click N' Play Kids Educational Science Lab Microscope Kit With Over 50 Accessories!.